Nora Weston’s fiction and poetry slips in-between and all around science fiction, fantasy, and horror. No one has ever accused her of being sane. The most terrifying things Nora has encountered are teenagers...with driving permits, and she’s taught five of these frightening creatures to drive. Her publishing credits include anthologies, magazines, and e-zines. She's had the pleasure of discussing her books and Internet safety on radio stations across the US. 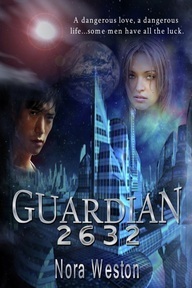 Melange Books released her science fiction adventure, Guardian 2632 in January 2011. Melange Books released Nora’s supernatural thriller, The Twelfth Paladin in June 2011. Bete Noire has just accepted her work. Download Nora's episodes on Blog Talk Radio’s show Not Picture Perfect and/or listen to her interview with B. K. Walker at Blog Talk Radio. HP: Nora before we get started talking about your novels can you tell us a little bit about yourself? Nora Weston: I’m from the wild and wonderful hills of Wheeling, West Virginia. The hills are breathtaking, but so wild once the sun sets...watch out. My childhood home was set against the darkest of woods that held within them mysterious creatures of the night, some of which howled until dawn. Oh, yes...my imagination ran wild back then probably because The Twilight Zone, Dark Shadows, and Star Trek were my favorite shows. I’ve been an elementary school teacher, and a freelance artist, plus I’ve taught five of my six children to drive. Nothing on earth is as frightening as a teenager with a driving permit! HP: How did you start writing? Nora Weston: Well, let’s just say I was physically present in geometry class, but...my mind was elsewhere. Any type of literature fascinated me, especially history, so researching about the past was fun for me. My kids crack up when I tell strange tales of having to go to this “thing” called a library where I had to use these drawers and little white cards to explore my topic. After reading work from Edgar Allan Poe, Wilfred Owen, Stephen King, Alexandre Dumas, and Arthur C. Clarke, I knew writing would always be a part of me. Nora Weston: Absolutely...poetry is something I adore! One of my favorite poems is “Strange Meeting” by Wilfred Owen, who was a poet during World War I. His work is haunting, complex, and quite memorable. Edgar Allan Poe’s “Lenore” is also a poem I’ve read many times and still enjoy. I strive to write poetry with vivid imagery, a struggle between life and death...or good against evil and poetry that provokes readers to think long and hard about what’s really important to them. I have a poem called “Still Earthbound” coming out in Bete Noire (2012) that is one of the most bizarre poems I’ve written, but so far...it’s my favorite. The imagery in “Still Earthbound” goes way beyond surreal. I have no idea what prompted me to write it! HP: How did you start writing poetry; which did you start writing first? Nora Weston: Oh, my goodness! I’m old enough now the years have blurred into a haze of recollections that seem to belong to someone else. Honestly, I cannot remember which I started writing first. Most likely, my first poems were homework assignments...that I wrote in an algebra or geometry class. Having six children, moving all over the place with my husband’s job to some amazing places, and listening to stories from my oldest daughter’s travels...like to Madagascar, certainly inspired me to write poetry. HP: Your novel Guardian 2632 came out in January and has since gotten positive reviews. Can you tell us some about the novel? From the description it sounds quite intriguing. Nora Weston: Ah, Zane Grayson. He’s a futuristic hottie...a genetic masterpiece who is in charge of monitoring time in Guardian 2632. Time surfing in illegal time zones is the rush Zane can’t live without. As addictive as the Martian dust called kilred, time surfing becomes Zane’s obsession. And knowing full well if caught by the Elite Guardians, he’ll suffer a brutal death by Time Mercs, Zane still dives deep into trouble. Due to time surfing, he discovers a mission, in 2035, left him trapped in Pittsburgh, PA, 1998...a timehole. While in Pittsburgh, Zane strolls into a coffee shop to see the bewitching Julia Emerson. From that point on, his life, in 2632, spirals out of control as he fights to protect what he loves most. Guardian 2632 does embrace the possibility of time travel, but the essence of this novel is Zane Grayson’s unstoppable determination to repair the past so Julia will have a future. It’s about doing what’s right no matter that great sacrifices will be made. HP: What was your inspiration for Guardian 2632? A series of relentless dreams about Zane Grayson, Julia Emerson, and Jack Emerson inspired Guardian 2632. At first, the dreams were only about Julia’s crumbling marriage to Jack. The fights, his reckless behavior, and his irresponsibility toward his family soon entangled him with a mobster, named Marshall Pickett. Julia’s life was put in harm’s way. It all played out, night after night, like a soap opera, which was really bizarre, because I’ve never watched any soaps! Before long, Zane Grayson...a mastermind from the future, entered to make sure I awoke every morning preoccupied with these ghosts from dreamland. The idea for The Twelfth Paladin came about because I received an invitation to play with evil by way of a frightening email...that dared me to enter a world I would not regret. Temptation hit me big time. Did I join the organization offering me the time of my life? Nope...no way! However, Jake Cottrell came to life to experience everything I would not. HP: These two books are quite different in genre, are they not? Do you think you will write other novels in other genres besides these two? Nora Weston: That is a great question! You are correct, Guardian 2632 is a science fiction adventure, and The Twelfth Paladin is a supernatural/thriller, but they both address what it takes to dream better dreams so tomorrow is brighter. It’s quite possible I’ll venture into other genres, simply because I’m discovering how much I enjoy a little bit of everything. HP: You have a anthology called Dark Pleasures. Can you tell us a bit about this anthology? Nora Weston: Dark Pleasures, published by Melange Books, contains seven short stories, like Adevar, which I wrote. Secrets, lies, the truth, and the disappearance of Nathan Hawkins' father all force him into the unearthly realm of Adevar...where humans, angels, and demons get exactly what they deserve. All of the stories are a walk on the dark side and written by Lisa Basso, Rebecca Varnum, Roxanne Rhoads, Megan Hussey, Mila Ramos, and Cooper McKenzie. It’s an anthology for anyone desiring little tidbits of terror that are a perfect read right before it’s time to catch your z’s. HP: Do you have any plans for future novels anytime soon? Maybe a work in progress? Nora Weston: Currently, I’m working on the sequel to Guardian 2632. Lindsay Grayson will give her father, Zane Grayson, a hell of time as unauthorized time jumps, political cover-ups, and murder bring an impending global disaster to Red Level 1 status. Lindsay will become a guardian the likes of which the world has never seen. HP: Where can we purchase your novels/poetry? Nora Weston: My work is easy to find. I sure do appreciate everyone who has checked it out! 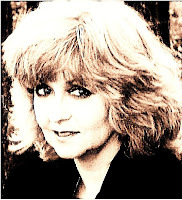 Nora Weston: First, I must say many thanks for their interest in my writing. Releasing these characters from my crazy dreams so I could share their adventures has been exciting. In addition, I encourage everyone to use their creativity energy in some way. I’ve found life goes by way too quickly, so why not explore the joy that comes from creating? If music is your passion...take lessons or teach yourself, try your hand at painting, or cooking delectable delights. If writing is your thing, then check out duotrope.com and ralan.com for potential markets. They say everyone has a story to tell, and I believe that. I’m discovering new authors thanks to wonderful blogs like Full Moon Bites. Also, if anyone has a question about a writing market, my books, or how to stay sane while raising kids...feel free to email me. HP: What do you do to unwind and relax? Nora Weston: Okay, I had to consider if spending time in the laundry room counts as “relaxing.” I do take my hot tea with me, so maybe it does! Since I have a huge family, and two little dogs who manage to add daily chaos to our lives...I don’t relax very often, but my family members are all entertaining in their own ways. I do dream about relaxing, and those are fantastic dreams, especially if Jake Cottrell, or Zane Grayson, show up to make things interesting. On occasion, I do get in a good science fiction, horror, or fantasy movie. 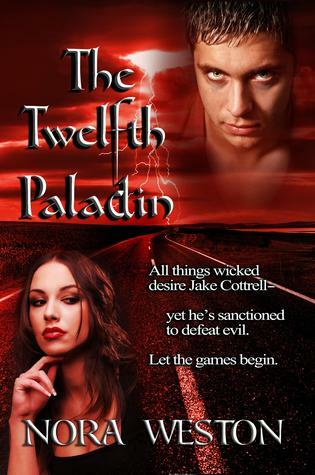 Now, if you enjoy supernatural horror...enter the giveaway for The Twelfth Paladin. One winner will have his/her choice of either the e-book or print version. Thank you, Holly, for hosting the interview/giveaway! HP: Thank you, Nora for being here and providing the giveaway!